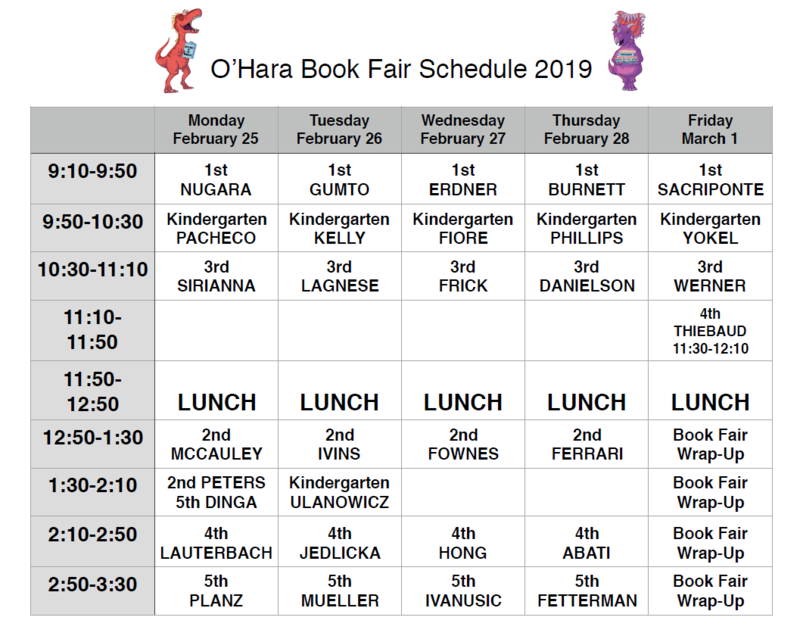 Celebrate Reading this Week at O’Hara! This week America commemorates the birthday of one of our most beloved children’s authors, Dr. Seuss! Like countless schools across the nation, O’Hara Elementary will honor Dr. Seuss’ legacy by celebrating Read Across America–a nationwide reading motivation and awareness program that calls for every child in every community to celebrate reading! There are a couple of ways that O’Hara PTO is celebrating this week! 1. Our annual Scholastic Book Fair will be held from Monday, February 25th through Friday March 1st in the O’Hara School Library. Students will have an allotted time during the school day to visit the Book Fair and buy books and other items. You are definitely welcome to join your child to shop in the Library during this time! Items can be paid for with cash, credit card, check (made out to OEPTO), or a NEW e-wallet option, where you can electronically set aside funds for your child to use. Visit www.scholastic.com/bf/oharaelementaryschool for more information about this option. You can even purchase books online here! All proceeds will benefit the O’Hara Elementary library! Can’t make it to school during your child’s book fair slot? No worries! You can send your child to school with cash or a signed check made out to “OEPTO” in an envelope, or use the e-wallet option mentioned above. Please include a note indicating any limit on purchases or a list of acceptable purchases. Please note: the average book cost is between $5 to $10 with 7% sales tax. Want to support your child’s teacher? Great! You can donate books from a classroom book collection “wishlist” for each teacher. All students will also receive one raffle ticket good for a chance to win an age-appropriate basket of books. 2. The O’Hara PTO will also be holding a Read Across America celebration during special EVENING Book Fair hours on Tuesday, February 26th from 6-8 pm. And this event will be so much MORE than just an opportunity to shop! We have also planned several Read Across America activities including a tattoo artist, a Dr. Seuss-related craft, collaborative story-writing and two mystery readers! No RSVP is necessary, you DO NOT need clearances to attend this free family event. Students who come to the evening book fair and Read Across America celebration get 2 additional raffle tickets! Next Next post: Meeting Recap: Upcoming Events, Girls on the Run, Safety Update and More!